Menu Plan Monday – January 10, 2011 and a Giveaway! This week I have a giveaway for you provided through Bisquick though MyBlogSpark. Now that even Bisquick has joined the ranks of gluten free products readily available at your local market, you can try the product yourself for free! I am very interested in trying the product for camping. So many dutch oven recipes for Girl Scouts and Boy Scouts use Bisquick in the recipe. If this works as a substitute directly in the recipe, how easy and wonderful for the gluten free scouters and their leaders. 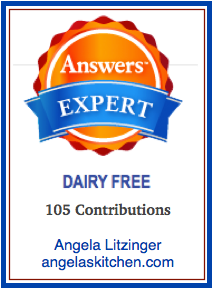 Thanks, Bisquick! I will be testing the product on camping recipes as soon as the weather allows me to make a fire outside for dutch oven cooking. I can’t wait! To join the give-away to win the prize pack of Bisquick Gluten Free baking mix (it is also dairy free), a pancake pan, pancake pen and a pancake flipper, simply leave a comment below. A winner will be randomly picked on January 12th (only two days to enter!) and I will contact you via email for your address (MyBlogSpark needs your address by January 14th to send out the prize pack). If you would like to still try out the new gluten free Bisquick, but you didn’t win? Don’t worry, there is a coupon so you can try it out. To make the give away a little sweeter, I have a copy of the Betty Crocker Gluten Free Recipe Collection. You could have knocked me over with a feather when I saw this at the grocery store. If the recipe mags are coming out gluten free, not just offering a token recipe here and there, you know we are starting to get noticed. Yay! I ran right back to the store and bought a second one to give away to whoever wins the prize pack. The magazine has 280 recipes and tips. All recipes also has an included photo, which I really like. Some use the Betty Crocker gluten free mixes, which I expected, however, many do not and you can use the gluten free flours and starches listed in the recipe. It includes appetizers & snacks, breakfasts, meals, breads & sides, and desserts. **Edited 1-12-11: the winner of the giveaway is Jordan! I have sent you an email for your address. Thank you to all who participated! On to Menu Plan Monday! 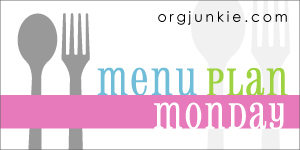 For more menu plans to browse through, see Organized Junkie for Menu Plan Monday. 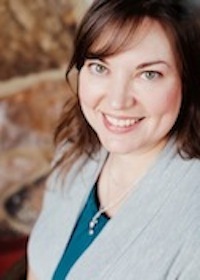 For the Gluten Free Menu Swap, see this week’s host, Cheryl of Gluten Free Goodness. Cheryl is looking for more hosts for the swap, so be sure to drop her a line, if you would like to host. This week’s theme picked by Cheryl is soups. Cheryl and I are on the same page when it comes to soup. We love it in all its forms. Some of our favorites are Bison & Sweet Potato Stew, Ground Beef and Bean Stew (more of a “stew-oup” and similar to a tortilla soup), and Chicken (or turkey) Wild Rice Soup. I really recommend you take the time to make your own stocks. All it takes is water and a bit of time to transform bits you would have discarded into amazing stock, so much more flavorful that you can get in the stores. And if you need gluten free stocks, the savings of making your own instead of buying is HUGE! Other things this week: My big girl is turning 12 plus 1 next week (no, she will NOT be a teenager… 12 plus 1. Do you think my denial will work?) so I am kicking around a recipe in my head for hot chocolate cupcakes for her. I think it could be really fun if it works out. I am also working on recipes for gluten and dairy free versions for the top 5 Girl Scout cookies. Dude, I have Girl Scouts, I lead two Girl Scout troops and we can’t have any of the cookies. Really? Well, I am going to change that! Ahhh, denial. I guess I could say my eldest is 19+1 and avoid the twenties. Clever. And I so agree with the Girl Scout cookies. It was an awkward position on so many levels. My family would eat every meal you've planned. I may just copy one of your weeks if life gets hectic. Have a good one. I love the idea of stew-oup! And I'm glad you liked the sniffle stew, too. Happy birthday to your (somewhat) little sweetie, and have a great week. Gluten free Bisquick? Cool!...My daughter was diagnosed with Celiac before she was diagnosed with diabetes.....then the doctor decided she didn't have Celiac after all....who knows! !....Sometimes I still think she does! I've seen that magazine in the store but didn't have the extra $10 at the time. Hope they still have it when I go back next week. I'd love to try the gluten free Bisquick mix! I (and my family) are newly gluten/dairy free and always looking for new products to try.